Okay, so I haven’t been lifting weights for long and only been going to my Caveman classes for a few weeks, but oh how my hands have suffered! When you work up a sweat and doing as many deadlifts and pull ups as you can within a minute, you end up getting not only calluses on your palms, but also these can tear and become so sore after some time. Not only that, but sometimes you can use chalk to make it easier to grip, which of course, really really dries out your skin as well. Usually, I’d have given up on Caveman by now, using my gross hands as an excuse, but good things don’t come easily! 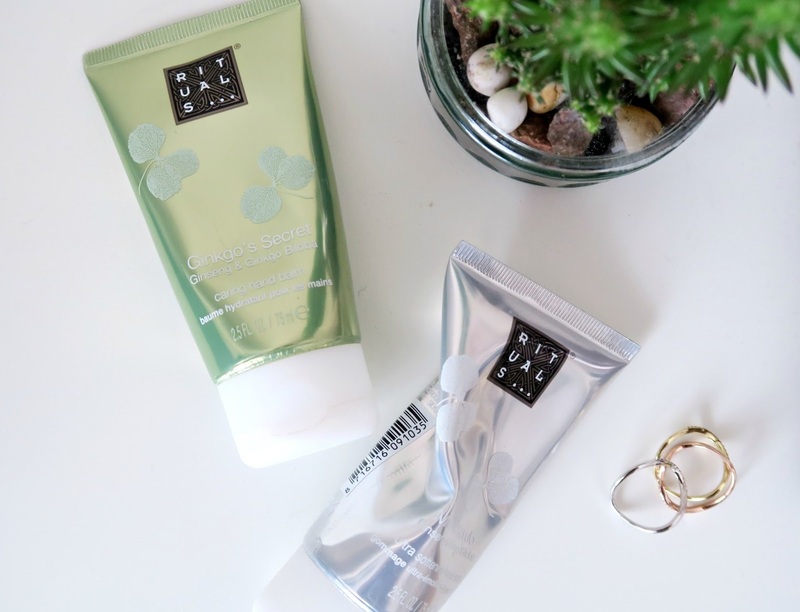 After wahhhh-ing around about putting on some inches in the last few months I’m definitely not admitting defeat against the weights yet – despite the awful effects on my hands.Instead, I’ve upped my skincare game with these two bad boys from Rituals. As soon as I get back I use the Rituals Hand Scrub to help exfoliate away the dead skin and any flakey bits which may have appeared. This also helps to soften the small calluses. Once dried off, my hands feel instantly more smooth, soft and soothed. Following with the Rituals Gingko’s Secret Hand Balm also helps to lock in moisture and avoid dryness. I always find hand balms so much better than lotions or creams as they really seem to protect my skin in the long run. So if you’re embarking on a new weights based fitness routine, be aware that your hands will suffer! But don’t let that put your off, because if you look after them as much as you can post and pre-workout they won’t get too bad…. Previous Post Leeds Festival 2016: The Highlights!